It is a condition in which the action of the heart, in forcing the blood through the arteries, is weak. In Ayurveda, low blood pressure is related to weakness of the digestive fire. 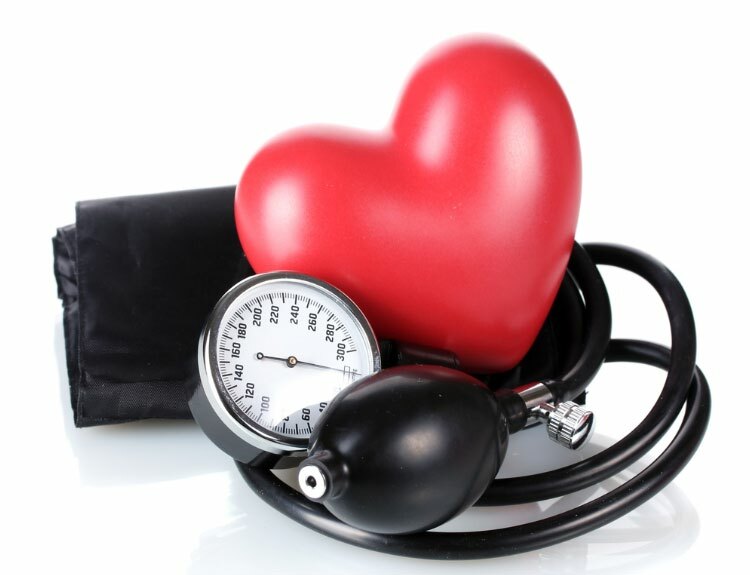 The blood pressure lower then 120/70 is known as low blood pressure. 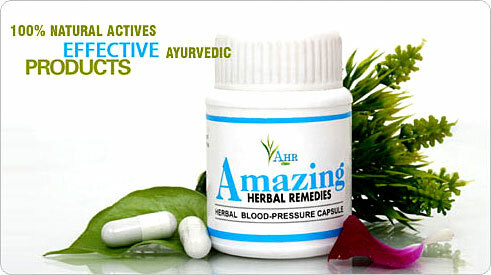 Ayurveda Experts formulated and tested to treat High/Low Blood Pressure. Corrects ‘vata’ dosha & relax blood vessel walls. Also useful in numbness, cold hands and feet, anxiety, nervousness and insomnia. Results: Initial results within 1-2 months. Note: This supplement is purely natural that corrects the disease from its root cause, hence, would not control blood pressure immediately. Feeling better may take a little time, therefore, we recommend intake of the this food supplement along with your regular allopathic BP medicine initially. After regular monitoring of BP, allopathic medicine can be reduced or stopped after complete & permanent control of blood pressure. Ayurveda products are used for its therapeutic properties since ancient times. The advantages of Herbal care India & natural herbal remedies are that they are safe, without side-effects and effective. Our herbal products are made from Himalaya herbs India, ayurvedic herbs providing natural, alternative care and herbal medicines. Blood Pressure remedy is an all natural dietary supplement for the management of blood pressure disorder (Rakt Chaap). These natural capsules are formulated with combination of some highly pure life saving herbs, which are used from centuries to provide alternative health care. 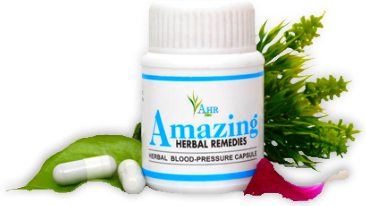 Herbal capsules are developed by certified herbalist Dr. Raksha, using nature’s most powerful ingredients that have been scientifically proven to naturally normalize blood pressure. Note: Kindly note that this supplement cures the root cause of the diseases & would not control blood pressure immediately. We recommend intake of the this food supplement along with your regular allopathic BP medicine initially. Amla (Emblica Officinale), Gokharu (Tribulus terristris), Kaner (Nerium indicum), Arjuna (Terminalia Arjuna), Lahsun (Allium sativum). Yoga Asanas like Shavasan, Padmasan, Matayasan and Matsyendrasan should be practiced regularly. Asanas in which the body is held upside down are prohibited. During any exercise the strain on muscles increases, the requirement for blood and oxygen increases but in Yoga asanas the requirement goes down as there are no strains and every muscle is relaxed, the requirement for blood and oxygen goes down. This also reduces the strain on mind, the mind also becomes stable and focused. Also because of twists and stretched postures, the functioning of endocrine glands, digestive organs, heart and other organs improves. To achieve this even simple Yoga asanas are helpful, one can easily practice these yoga asanas and get the best for himself. Spread both the legs and keep them at a distance of 1 or 1.5 feet apart. Keep the heels facing inside and allow the toes to fall outside and relax them.Take both the hands little away, say 3 to 4 inches, from the body and relax them. Keep the palms facing the roof and the fingers half – closed.Turn the neck to any side and relax it. Further, relax the muscles of the face. Keep the eyes closed with ease and without pressure. Continue extremely slow breathing. From staff pose – dandasana, bend the right knee and bring the right ankle to the left hip crease with the sole of the right foot facing upwards. Settle the foot into the hip crease. Bend the left knee and cross the left ankle over to the right hip crease with the sole of the left foot facing upwards. Repeat, with the left foot on the bottom and the right foot on top. Pranayama the control of breathing & blood circulation. Pranayama is the deep breathing asna for body mind and soul. If mental strain increases the breathing rate is affected. In Pranayama the breathing is controlled and the rate is reduced, which reduces the strain on heart and also the rate. This increases the stability of mind and mental activities are also controlled. Also the Pranic force in the body is balanced with the regular practice of Pranayama, which restores the physical and mental balance. Some Pranayama techniques affect the functioning of nervous system, which again help restore the balance. Pranayama reduces the need of oxygen, so also the production of carbon dioxide. So the respiration rate reduces. In various Pranayama techniques Ujjayi Pranayama balances the Pranic flow of energy in the body. Ujjayi also affects carotid sinus, which help reduce BP. Nadishodhan Pranayama controls the Pranic flow. But people suffering from BP should not practice Kumbhaka (retention of breath) but only inhalation and exhalation. Many foods and dietary factors affect blood pressure. Studies show a high-sodium diet increases blood pressure in some people. In fact, some studies show that the less sodium you eat, the better blood pressure control you might have – even if you’re taking blood pressure medications. Findings also show that potassium, magnesium, and fiber may also affect blood pressure. Fruits and vegetables are high in potassium, magnesium, and fiber and low in sodium. Also, nuts, seeds, legumes, lean meats, and poultry are good sources of magnesium. Alcohol: Alcohol directly raises blood pressure, and further acts to damage the walls of blood vessels, which can elevate the blood pressure further and make it more difficult to treat, while simultaneously increasing the risk of complications. Salt: eating too much salt can make high blood pressure much worse. In others, the same salt consumption may have no effect. Reduced sodium diet is a strongly recommended part of a healthy diet. These recommendations are especially important in the setting of secondary high blood pressure due to kidney problems. Fats: Saturated fats, especially trans-fats, are bad for both the heart and blood vessels. Because the circulatory system is already under a lot of stress in the setting of high blood pressure, extra strain can be devastating. acupressure is ancient way from Ayurveda to treat blood pressure If blood pressure less than 200/100.these tips only helpful when blood pressure is in its beginning stage and helpful to maintain blood pressure. Li 11 and Ht 3: To locate Li 11, hold your arm in front of your chest, as if you were holding a cup in your hand. The point is at the outside end of the crease on your arm at the elbow joint.To find Ht 3 (Lesser Sea), hold your palms facing up. From Li 11 slide your fingers across the elbow crease until you feel the bony projection of the outside of your funny bone. Just above this bony projection is a natural depression. Ht 3 is in this depression. (St 36, Three Mile Foot) St 36 is the most effective point to rejuvenate the ch’i and blood. 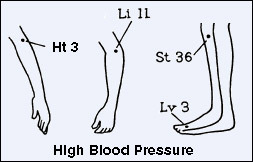 The combination of Li 11 and St 36 is used extensively to treat hypertension.This point is located four finger widths below the lower border of the kneecap and one finger width off the shin bone to the outside. Flex your foot up and down; you will feel the muscle move under your fingers if you are on St 36. (Lv 3, Bigger Rushing): Traditional Oriental medicine practitioners believe that hypertension is intimately connected with blockages in the liver meridian. Lv 3 exerts a powerful, beneficial influence on all aspects of the body associated with the liver meridian.This point is located on the top of your foot, between the big toe and second toe.Start at the web margin of skin between the two toes. Now slide your index finger up between the bones until you feel a depression about 1/2 inch up. (Kd 1, Bubbling Spring): Kd 1 is on the sole of the foot between the second and third toe bone, two thirds of the distance from the heel to the base of the second toe. It’s just below the ball of the foot. Amla taken along with milk daily helps in lowering the blood pressure. The best and the most effective home remedy for treating low blood pressure would be consumption of lots of water. Dehydration reduces blood volume and drops the blood pressure. Beet root juice is beneficial for those suffering from low blood pressure. Have a cup of raw beetroot juice two times a day. Prepare a cup of strong black coffee and consume this whenever you feel you blood pressure dipping. Put 15-20 gm of Indian Spikenard in 250 ml water. Have this infusion thrice a day. You can also have 30-40 grains of Indian Spikenard, along with some camphor and cinnamon. One or two pieces of garlic rolled in raisin also lower blood pressure. This entry was posted in Clinic Remedies and tagged Acupressure, Ayurveda, BP, Diabetes, Herbal Remedies, High Blood Pressure, Home Remedies, Low Blood Pressure, Obesity, Pregnancy, Smoking, Yoga.